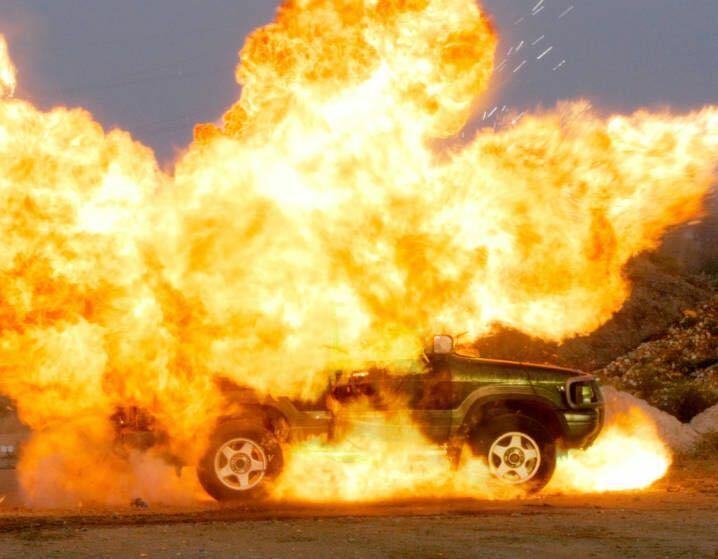 This sound effect library features the brutal sounds from the explosive deconstruction of cars. This library features professionally recorded high quality car explosion sound effects. Brutal sounding explosions that tear apart entire cars. From Hollywood film style gasoline explosions, to mobster style "under the seat" explosions, we disassembled the cars in every possible way. The 3 main actors for this sfx library are: A small Nissan Micra, a SUV Opel Montery and an Opel Vectra station wagon. It was important to us that all three cars had their interior fittings intact so we had all possible options to attach our lethal explosives. We experimented a lot by blowing up different parts of the vehicles to come up with varying and characterful explosion sound effects. We recorded this library with professional sound design work in mind and captured every explosion with multiple channels, featuring different microphone characteristics and perspectives. Besides the many close and medium perspective options to pick from, this library also provides beautiful sounding quad omni channel recordings captured from 150 meters distance. 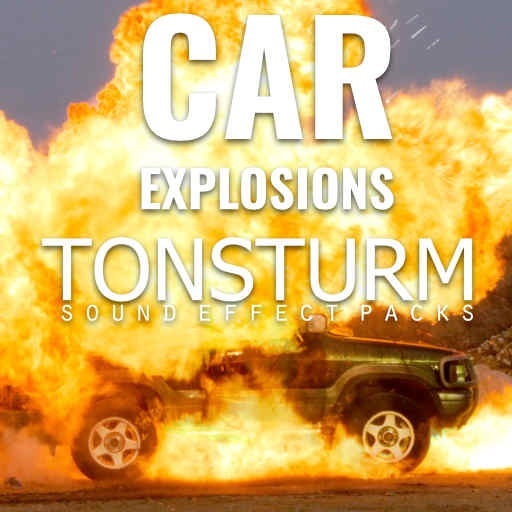 These car explosion sfx are highly versatile in application, whenever you need characterful explosion sound effects for the sound design of destruction. Besides the clean recordings, we provide designed car explosion sounds for your ultimate havoc of cars, trains, airplanes, or whatever you want to demolish. Of course, we exclusively used the original source material from this library for designed versions. Please Note: Each final gasoline explosions caused the cars to completely burn down. The recordings of the cars burning down are not part of this library but they are part of our Raging Fire Library. This library also pairs very well with our other explosion libs: Massive Explosions and Gasoline Explosions.